Customer Paradigm’s team of PPC experts can help your business grow. Leverage our Shopify PPC experts and our hundreds of thousands of hours of eCommerce development experience to increase your store’s sales and conversion rates. We use years of good, old-fashioned PPC experience, combined with running your campaign, keywords and website through artificial intelligence systems and machine-learning testing, so that we can generate results based on data and not guesswork. Hi, I’m Jeff Finkelstein. Founder of Customer Paradigm. If you need help with pay per click marketing, we’re here to help. I’d love to talk to you on the phone, and see what we can do to convert more of your site visitors into paying customers. I’ve been working with Google Adwords and other Pay Per click campaigns since they started back in 2002. I’ve served as an expert witness in the largest federal trademark court case that revolved around Google Adwords – basically it was two companies badmouthing each other using Google Adwords. I’m not trying to toot my own horn too much, but the New York Times has called me a Web Guru, and my company in Boulder, Colorado has completed more than 12,600 web marketing and design projects since 2002. I’ve run eCommerce sites, and know how pay per click (used to be called cost per click) marketing can really make a difference. For me, Pay per click marketing is amazing. What it allows you as a business owner to do is to connect to someone who has an urgent need for what you do. You probably got to this page, or are watching this video after doing a quick Google search on Shopify Pay Per Click help, or something like that. So, it works. What it allows businesses to do is micro target to people based on need, instead of bombarding an entire stadium full of people with your message. For example, if I go to a Broncos football game, there’s probably 30 people in the group of 75,000 fans in the stadium that might be a good fit for work with me. It’s a huge waste of money and resources to try to advertise to all 75,000 using mass marketing. Yes, it’s great for the ego, but less effective than spending that money on a great PPC campaign. Unfortunately, PPC marketing can be a great way to waste a ton of money if you don’t do it right. I know. I’ve made all of those mistakes in the past. When it comes to PPC, there’s no ambiguity. At the end of the day, it all comes down to your ad budget, clickthroughs to the site, your quality score, and conversion rate. Today, the underlying goals are the same, but strategies and tactics are in many cases radically different. For Acquiring New Customers – we help through search engine optimization, Pay Per Click advertising, social media and more, we can help you reach your customer in an efficient way. We can help you reach people when they are searching for a solution to their problem, as well as use demographic and psychographic targeted to get your site’s products in front of your ideal customers. 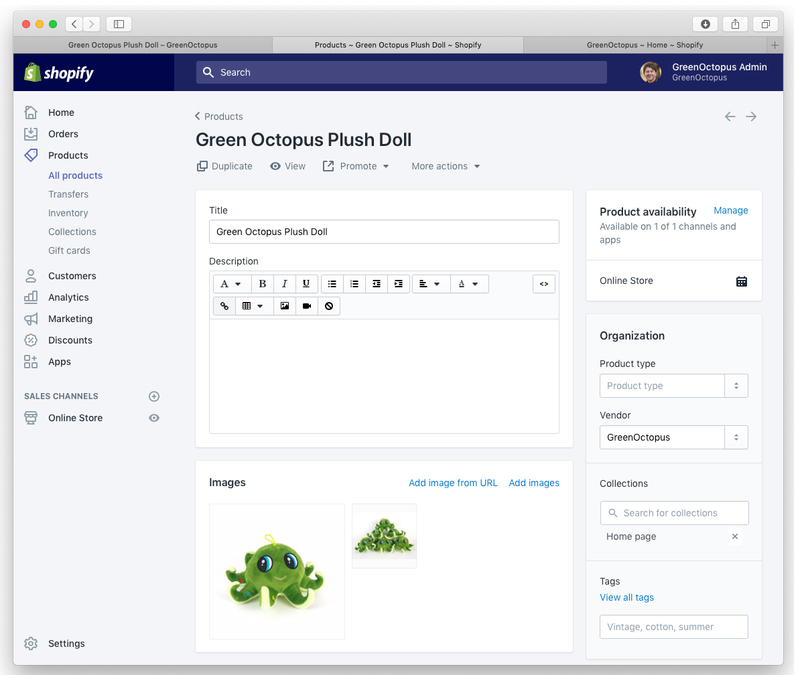 Finally – Interact via Shopify Site. We can help you increase the level of engagement for your Shopify site, including adding new design elements, more content, and producing compelling video and images for your Shopify store. Need a new design? Need help with product photography or an API integration? Our team of front end and back end developers can help. – How competitive your space is. For example, personal injury lawyers have one of the most competitive spaces out there. Some of them are spending tens of thousands of dollars a month, or more, in ad spend. On the other hand, a successful case could net them hundreds of thousands of dollars or more. So from a cost per customer acquisition, it’s expensive, but the ROI is there. – What you can afford for a cost per customer acquisition rate. Do you have a good handle on what your current cost per customer acquisition is right now? It’s important to understand how this is calculated. If you’re advertising a keyword for your Shopify site, for example, and it costs you $5.00 per click, that’s where you start. Let’s say you have 100 people click through on your ad, at the rate of $5.00 per click. That means you just spent $500 to get 100 people to your site. If your conversion rate is 5%, then that means you got 5 new customers, for a rate of $100 per customer. That’s your customer acquisition rate. If you’re selling something that’s a few thousand dollars, then a $100 customer acquisition rate is justifiable. If you’re selling something at an average price point of $50, then you need customers to buy twice at $50 in order to just break even. Depending on how competitive your space is, we can help you find long tail keywords that are a lot more affordable, so that we can keep your customer acquisition rate as low as possible. – Quality Scores. Which leads me to say that if you want to have a lower cost per customer acquisition rate from your PPC campaigns, you need to make sure that the keywords, ad copy and your site – especially the landing page – is deemed high quality in the eyes of a search engine like Google. What Google did many, many years ago was put in an interesting feedback loop. 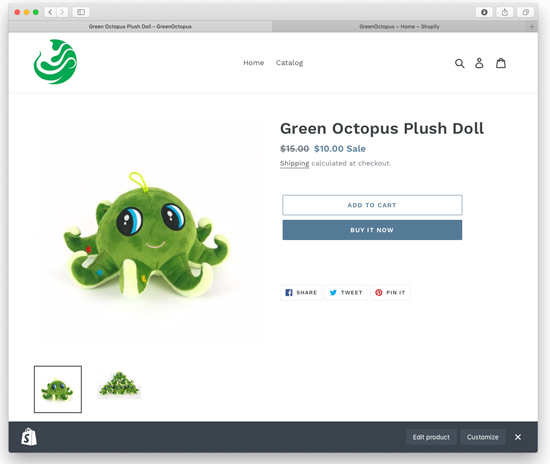 In the past, if you wanted to advertise your green octopus plus toy with an advertiser, you could put your ad in front of people, and a company like MSN would let you bid for a top spot. Google came in and said, long term, we want our search results for ads to be as solid as possible for end users. So, they built in a feedback loop that accounts for the site in question. If your site is deemed relevant to the keywords you’re advertising, that’s something that you get rewarded for. In essence, you can get a lower cost per click if your site is more relevant that a competitors. And that’s something that we can help with as well. We have proprietary tools that allow us to let you know what keywords your competitors are spending money on, and how much they are spending each month. When it comes to pay per click marketing, small, tiny things can add up. I’ve run eCommerce sites in the past, as have many people on my team. 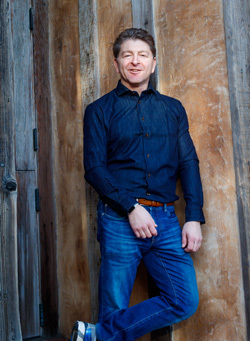 I’ve helped hundreds of clients over the years optimize their sites to increase conversions. Did you know that an increase of just 0.5% of your conversion rate can often dramatically increase your profit margin on the site. That’s where we can help, too. I can help you identify common mistakes to avoid. For example, are you using the right negative keywords in your PPC advertising? That will help prevent the do it yourself crowd or job seekers or non-targeted traffic to see your ads. That’s where we can help. 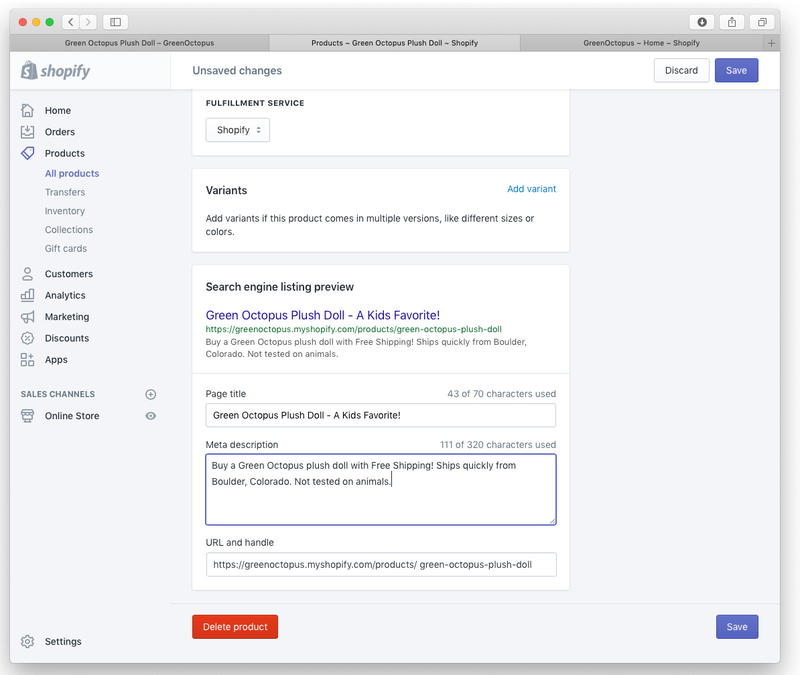 Sometimes it’s small things, like how keywords, ad campaigns and landing pages are organized. Sometimes it comes down to the quality of images in a display campaign. And then, if you’d like, we can use pay per click marketing data – those golden keywords that we know actually convert into purchase, and help you identify places to bolster your SEO content. So that eventually, you can wean yourself off of PPC and have a more balanced mix between organic SEO and pay per click. Our goal is to explore why your customers buy from you, as well as evaluate your competitors in the marketplace. We’ll look at other sites, and examine how others in your space market and position themselves. And we can figure out how much your competitors are spending on PPC marketing, and even what keyword terms they are bidding on. Before we spend ad budget sending prospective customers to your site, we want to make sure that your site can best convert them. This will help us understand what campaigns are likely to need help from a quality score perspective. 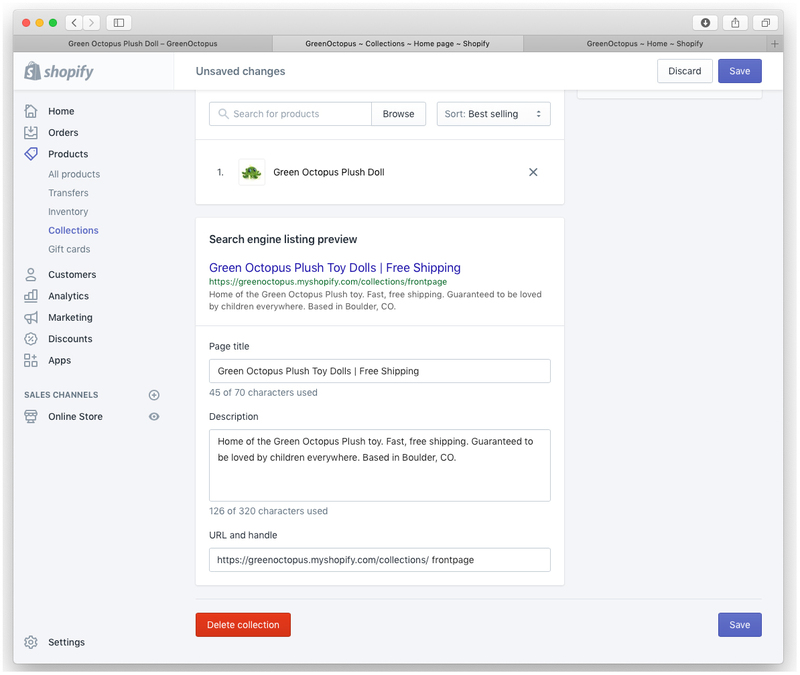 We can identify any of the following issues that impact your bounce rate for your Shopify site, and fix them quickly. Once the Shopify site is ready to “catch” visitors, our team will work with you to drive more targeted traffic to the site. We’ll build a strategy to help you achieve success. And again, we’re transparent. 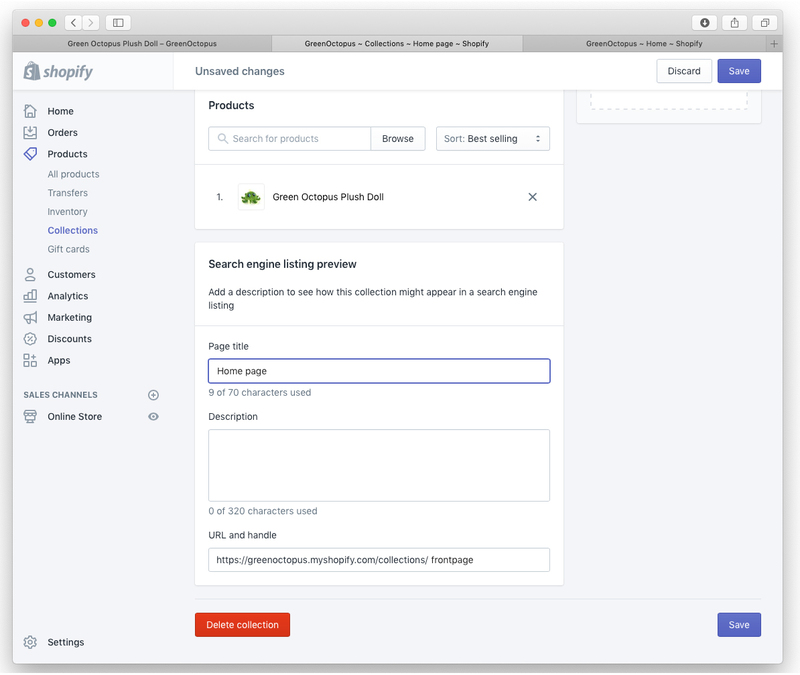 If you have an existing PPC account for your Shopify site, we can evaluate and advise on what is working, how to improve, and what next steps to take to optimize your PPC campaigns. Once you’re ready to move forward, we manage all the elements of your PPC campaigns in conjunction with your SEO strategy. And in this case, a good PPC campaign can be an amazing place to start. We can help you identify the gold keywords – keywords that we know convert – and help you build an organic SEO strategy. That’s where PPC retargeting campaigns – pay per click – can re-engage with people who have visited your site, but not actually made a purchase. We can do this for all of your site visitors, or micro-target this just to people who have visited a specific product page. Remember – this is not just for people who clicked on an ad. This is to reach out to end users who have visited the site, and then are on a different site – such as a news site. You remarketing ads can show up and follow your end users around. Making you seem like you have a national advertising campaign. You can only control what you measure. We will work with you to review what’s working, what’s not, and what changes we need to make to better drive more sales through pay per click marketing to your Shopify site. Okay… I think I’ve talked now for quite a while. 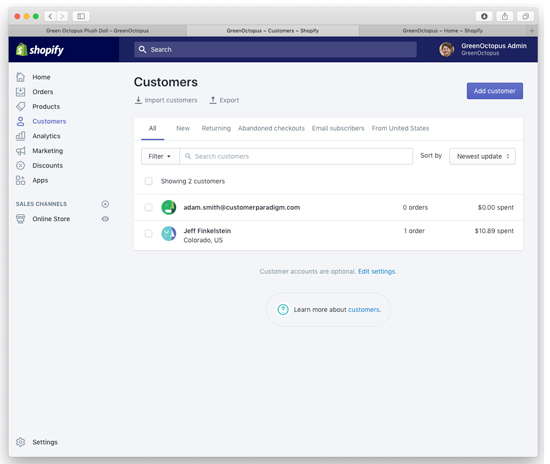 I hope the passion that I have for helping Shopify owners with PPC and digital marketing has come through. I’d love to help. Let’s talk! My phone # is 303.473.4400 or contact us through our site – www.CustomerParadigm.com. My passion is helping businesses like yours leverage the power of the Web to aggregate customers according to interest, and not geography. 12,700+ projects later, I still love what we’re doing, and I love that the premise of the company – customer-centric thinking – is still just as valid and relevant today as it was back in 2002. If you're looking for someone to help with your digital marketing, including Pay Per Click (PPC) and SEO (search engine optimization) for your Shopify site, Customer Paradigm's team of experts may be able to help. Everything we do is transparent. We're happy to tell you exactly what we're doing to help boost site traffic to your site, and help engage them when they arrive. We're happy to train you, too, if you'd like to learn how to do ongoing digital marketing for your Shopify ste. Acquire New Customers. Through search engine optimization, paid advertising (PPC campaigns), social media and more, we can help you reach your customer in an efficient way. We have proprietary tools that allow us to see what PPC keywords your competitors are spending money on, and how much your competitors are spending overall each month. One of the key factors in getting a competitive price for PPC keywords is making sure that your quality score for your landing pages is as good as possible. Why? Google put in a feedback loop. They look at the end user experience, and if the end user finds what they are looking for (i.e. you have a quality page with content that helps them find what they want), this means that users will trust Google PPC ads as relevant content. If your site's quality score is considered good for the keywords you are targeting, you will actually pay less for competitive keywords than your competition. And end users benefit as well. From there, I can type in a new Page Title for the Shopify title tag, such as "Green Octopus Plush Toy Dolls | Free Shipping." 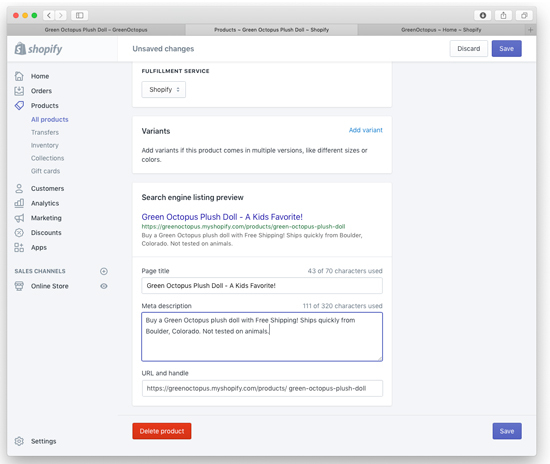 If I was wanting to run a PPC campaign for my this Shopify site, making sure I have a quality page title that matches the keywords and ad copy can make a difference for your quality score. Where it shows up, however, is in a Google search result. 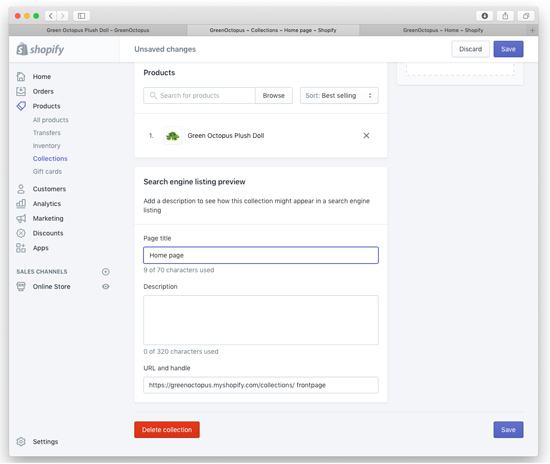 While Google and other search engines won't always use the Meta Description tag that you type into the Shopify Admin, it is often displayed – especially if it is relevant. This may also help with addressing your quality score for your PPC campaigns. If you are running a PPC campaign to a content page, the more high quality, unique content you have – the better. This will not only increase your quality score, but will help you convert more browsers into buyers. Once you've paid money from PPC campaigns to get customers to your site, retention marketing can help you snap back users to the site and get them to purchase again and again. Marketers who care. PPC Strategies that get results.